As many of you probably already know, I finally launched my YouTube channel! Yup. I pulled the trigger. I had been contemplating the idea of starting a channel for a very long time but kept procrastinating (…shocker). Last week felt right, though. So I set up shop in my bedroom and just went for it. With less than 3 minutes of planning my script, I said YOLO and pressed ‘record’. Due to my lack of planning, the editing process was PAINFUL. For real. You should see the cringe-worthy bloopers. Major props to full-time vloggers… it is NOT as easy as it looks. With that being said, I wanted to share my reasons for starting my YouTube channel. I want you guys to see the real, exposed me. I feel like I’ve been hiding behind my computer and iPhone for almost 4 years now! YouTube not only seemed like the appropriate next step with blogging but the perfect opportunity to develop a deeper connection with those of you who have been following my journey. I can get my point across better. Obviously, my website is strictly pictures and written words. YouTube opens the door to a different way of expressing myself. 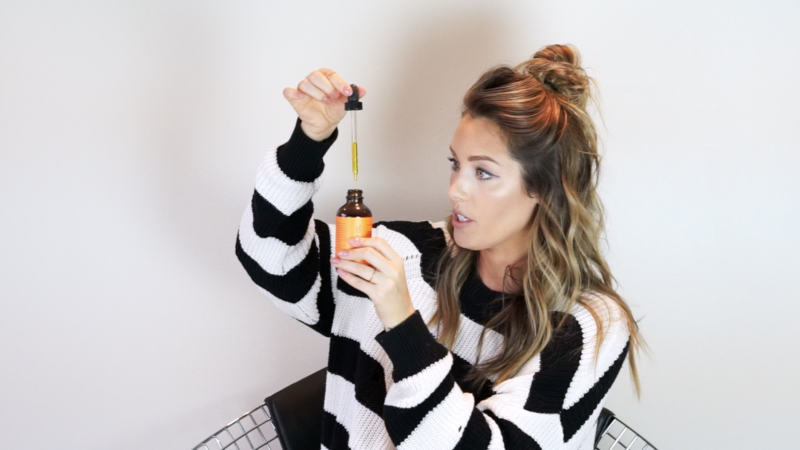 For example, in my most recent video, you can really SEE and HEAR how much I LOVE this WEN Body Treatment. Kind of embarrassing, right? More creative freedom. I’m super excited to start creating more video content. There are so many things that I can now do and/or show you all through video that I couldn’t do through my website. Plan on seeing more lifestyle, beauty, and recipes on my channel. Don’t forget to SUBSCRIBE to my channel friends! !